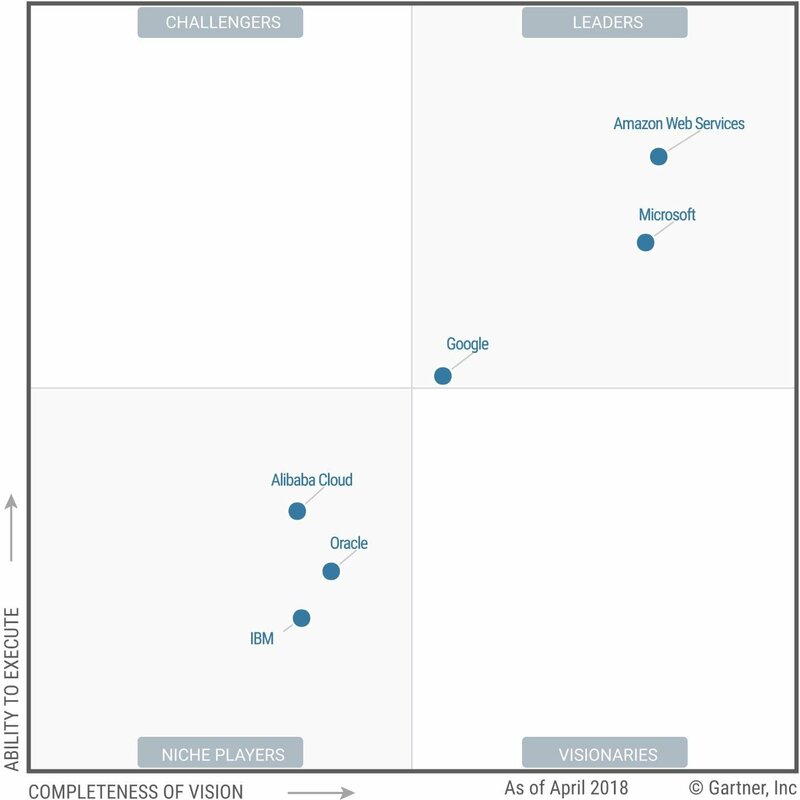 Analyst firm Gartner’s 2018 Magic Quadrant for infrastructure as a Service (IaaS) has again found that Amazon Web Services and Microsoft Azure are the most mature clouds, but has omitted more than half of the vendors it covered last year on grounds that customers now demand more than just rented servers and storage. Given those expectations, Gartner was happy to drop eight clouds from this year’s Quadrant, farewelling Virtustream, CenturyLink, Joyent, Rackspace, Interoute, Fujitsu, Skytap and NTT. Here’s where the remainder landed on the Paranormal Polygon. Let’s start with the three firms identified as leaders on the Quizzical Quadrilateral. Overall, however, Azure is rated a fine choice and especially so for organisations already committed to Microsoft. Are we there yet, Google? Gartner rated Google a solid choice even if its services aren’t yet as broad as rivals. The firm said that Google’s Customer Reliability Engineering program – which sees the company advise on how to run IT like Google’s own site reliability engineers – is a positive, but is only offered to a few customers or through Rackspace and Pivotal. Would-be Google cloud users are also warned that some current customers “sometimes cite ISV licensing and support challenges”, among them the fact that “Oracle will not normally license or support its software on Google Compute Engine”.